Avocado pear is not only great to eat but can also be a valuable addition to your hair and beauty regime. This natural hair conditioner is rich in protein and polyunsaturated fat, and packed with plenty minerals and vitamins, avocados really are the ideal natural ingredient for skin, scalp and hair rejuvenation. Reach for an avocado and try out these quick and easy home made skin and hair recipes. 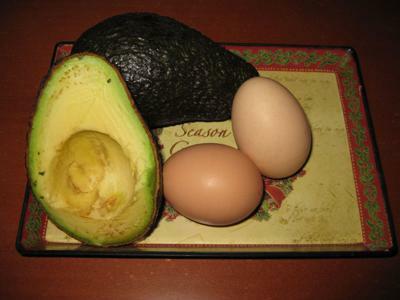 Mash the flesh of one avocado with two egg yolks and a spoon of olive oil. Apply the mixture to wet or damp hair and leave for 20 minutes. Massage your scalp and rinse off with warm water. If your skin is also in need of attention, and you don’t want to spend on professional beauty treatments, making your own magic mix can be just as effective. Remove the flesh of one avocado, place in a bowl and mash with a fork. For dry skin add one teaspoon of honey, or for normal to oily skin add one teaspoon of lemon juice, and stir in well. Apply to the face, taking care to avoid the eye area. Leave on the face for 15 minutes then rinse off. Mash the flesh of one avocado and mix with one cup of warmed almond or olive oil. Put the mixture in a container, cover it and place in a refrigerator (Remember to mark the container - Not for eating!!). Apply to skin at night, rubbing in thoroughly. Leave on skin for 20 minutes, then wipe clean with a tissue or damp cloth. Avocado or avocado oil is mostly used for dry skin and scalp treatments. It can also be used as moisturizing to lubricate the hair. If you have oily hair you better use remedies that contain lemongrass or sage to reduce the excess sebum production by scalp. You can use Avocado, but try to use it only on hair avoiding scalp. What if you have oily hair! Is avocado have bad effect on oily hair?